Srinagar : Pakistan is in no mood to halt unprovoked tensions across Line of Control (LoC) as its troops violated ceasefire for one more time along the LoC in three areas of Noushera sector in Rajouri district. 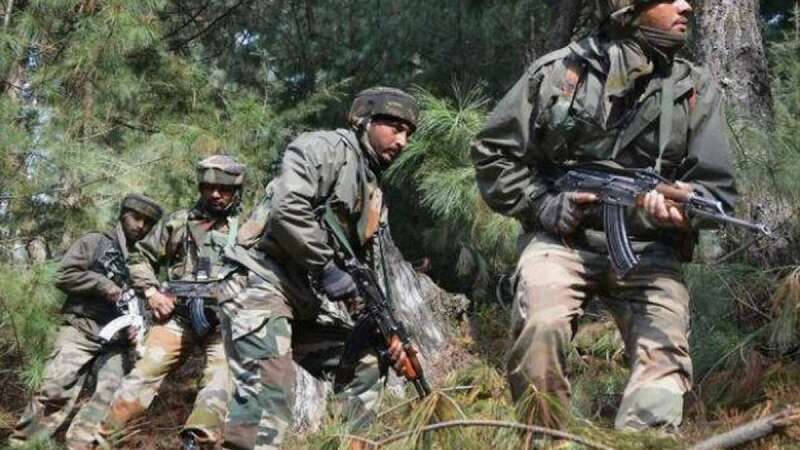 "Pakistan troops resorted to unprovoked firing in three areas of Noushera Rajouri district from 05:15 hours today," Defence Spokesman Col Manish Mehta said. The troops attacked the civilian area with mortar bombs and also aimed Indian Army posts with gun firing. This was the fifth ceasefire violation in less than 24 hours along LoC. # On Monday, Pakistani troops violated ceasefire four times and restored to heavy firing and mortar shelling in Saujian, Shahpur-Kerni, Mandi and KG sectors in Poonch district, injuring 5 civilians, including five women. # Last year, 16 civilians were killed and 71 others injured in 405 incidents of cross-border firing by Pakistan.